Meet the one club legend who is still adored more than eighty years after he stopped playing. Edgar Isaac Lewis Kail was born in London on November 26th, 1900. 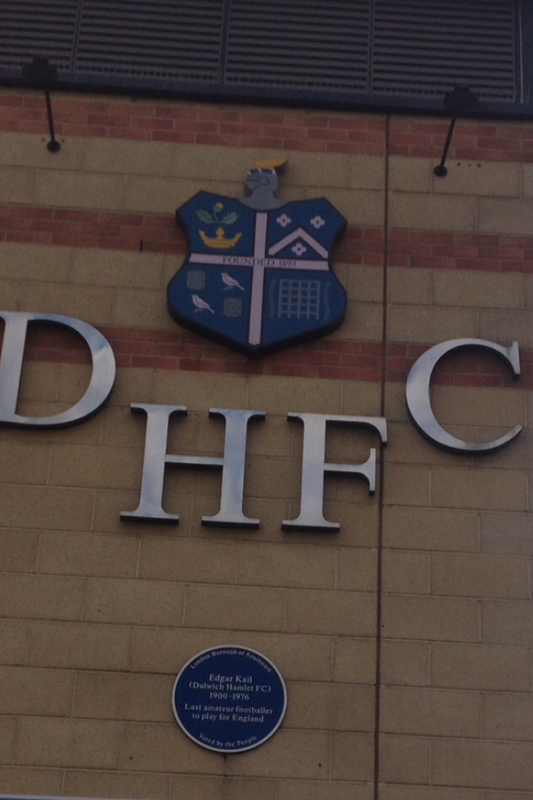 He spent his entire fourteen year senior career at Dulwich Hamlet FC, and is rightly held in the highest regard at Champion Hill. He is so respected at the club that the approach to the ground is named after him, and Southwark council unveiled a blue plaque in his honour in 2003 after a huge campaign amongst fans saw him top a poll of the borough’s famous sons and daughters. A trip to Hamlet’s ground will just enforce the affection for Kail. There is a stall dedicated to the man, with history for visiting fans to read, and merchandise to buy. It’s unclear how many games Kail played, but records indicate he scored a massive 427 goals for the Pink ‘n’ Blues, which is a phenomenal total, and a club record to this day. He also holds the club’s record for most goals in a season, when he netted fifty three times during the 1925-26 season. He played three times for the Senior England team, scoring two goals. All three caps came in the space of a week, during a continental tour in 1929. Both goals were scored on his debut against France, a 4-1 win in Paris, while he also played against Spain (a 4-3 loss in Madrid) and Belgium (a 5-1 win in Brussels). He is the last player to play for the full England side whilst playing for a non league club, a fact which will almost certainly remain intact forevermore. What makes Kail so special, and such a big hero among Hamlet fans, is that he repeatedly turned down lucrative offers from top flight clubs – and with it the chance to turn professional – instead opting to play for his beloved Hamlet for the whole of his career. He won plenty of honours too; two FA Amateur Cups, three Isthmian League titles, and four Surrey Senior Cups. A decent haul, I’m sure you’ll agree. It wasn’t just football that Edgar Kail excelled at; he was also an accomplished runner in his school days, competing between 1910-1914. He was even an excellent cricketer, setting record partnerships in his first matches, and also being a competent bowler. But it was football that won out in the end, and his sparkling career started in the school team, where he made a big impact at an early age. At the age of nine, he successfully trialled for his school side, which is made all the more impressive when you consider that the other players were aged 13-15. After a year, Kail became captain of the team. He also played football at County level, and represented England Schools on a number of occasions. An outstanding competitor in multiple sports, Hamlet fans can count themselves lucky that football was always Kail’s first love. He lives long in their memories and hearts, and so he should. 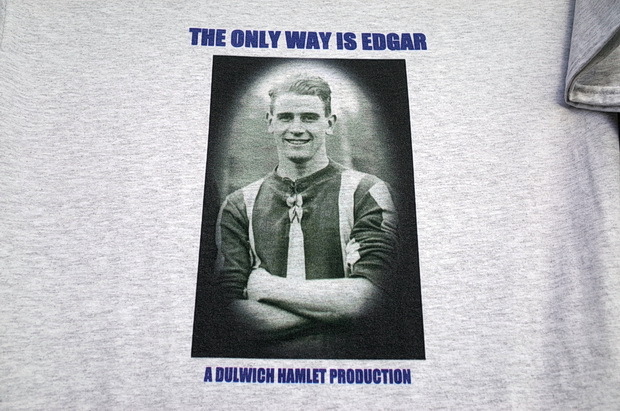 Posted on July 31, 2015, in Non-League Legends and tagged Champion Hill, Dulwich Hamlet FC, Edgar Kail, Featured. Bookmark the permalink. Leave a comment.